No one can deny the impact that Elvis Presley had on American culture and the musical landscape. From the mid-1950s until his death, the King ruled the charts and helped shape what rock'n'roll and contemporary music are today. Research suggests that it was on Christmas Day 1960 that Elvis reached the milestone of 75 million records sold, likely being the first ever artist to achieve such an incredible feat. RCA Records, the label that signed Elvis in 1955 and launched him to become a music phenomenon, celebrated this milestone with a celebratory charity event and concert on February 25, 1961, where they gifted Elvis with a special Omega watch. The provenance of the watch is quite charming, as the current owner's uncle once met Elvis and expressed his admiration for the watch. As the admirer was wearing a diamond-studded Hamilton watch that caught Elvis' eye, a trade was proposed and the two gentlemen exchanged timepieces. 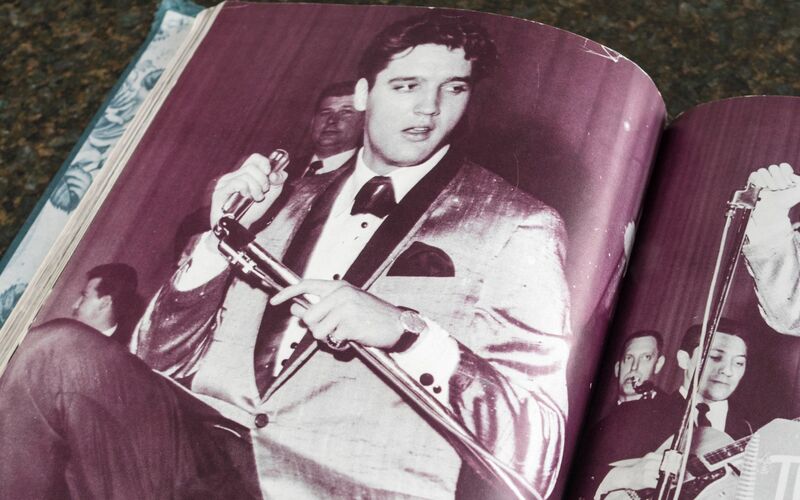 Elvis was well known for giving away watches that he purchased or received as gifts. The watch will be sold with certificates of authenticity from the Elvis Presley Museum and a book titled “Elvis” by Dave Marsh, which includes images of Elvis himself wearing this watch.